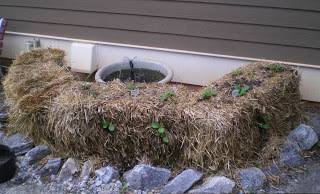 Since it’s time to start thinking about the garden, I’ve decided to re-issue the Hay Bale Garden instructions and post from when it first started. 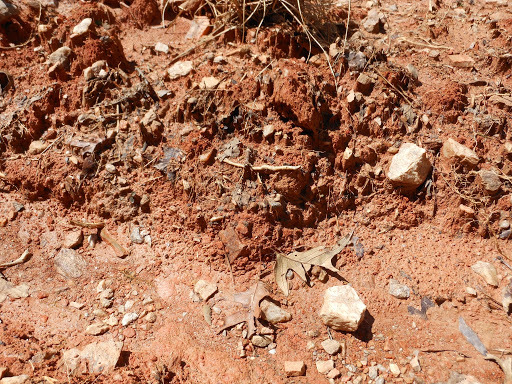 Up here in the hills – unless you’re living on the eastern side of Dahlonega, or down in one of those picturesque, lush farming valleys heading out Hwy 52 towards Ellijay – you don’t have a lot of options for gardening or growing anything….. except rocks. The result of the clear cut logging in the Appalachians back in the 30’s has left most of the surrounding areas completely devoid of any really usable topsoil. 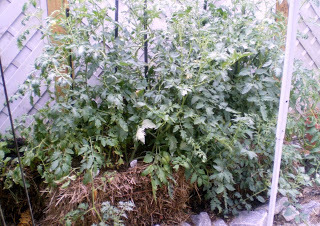 In 2009, we attempted to container garden. It was lackluster at best. Even with drip lines and composted manure, the containers were just no match for the hot summer heat, and the diminutive bounty was the proof. Opposed to previous years, this year we aren’t even starting the bale rotting process until May 1st. I’ve found that with our extremely hot and humid summers, the bales deteriorate much too quickly and by mid July, the bales have lost most of their heft and need augmenting with garden soil. Which – isn’t that bad of a thing…. Bale set up in your particular area is going to depend on temperatures and rainfall. You want the ambient temps in your garden area to be around 60 degrees in the evening to insure the rotting process continues throughout the night – and sufficient rainfall to keep the bales moist for the 2-week prep period. 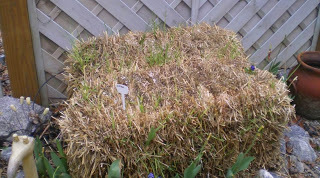 With the compost, add about a 2″ layer of garden medium into the top of the bale and press it down a bit.